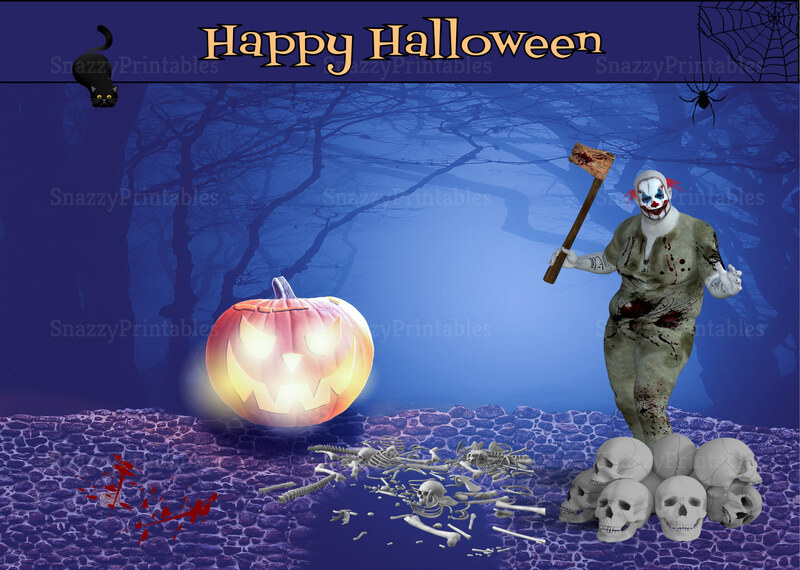 Scare your friends this Halloween with this spooky "Happy Halloween" greeting card featuring a creepy clown in the woods with an ax standing over skulls, blood, and bones while a black cat watches from up above. Download, Save, and Print as many greeting cards as you need. 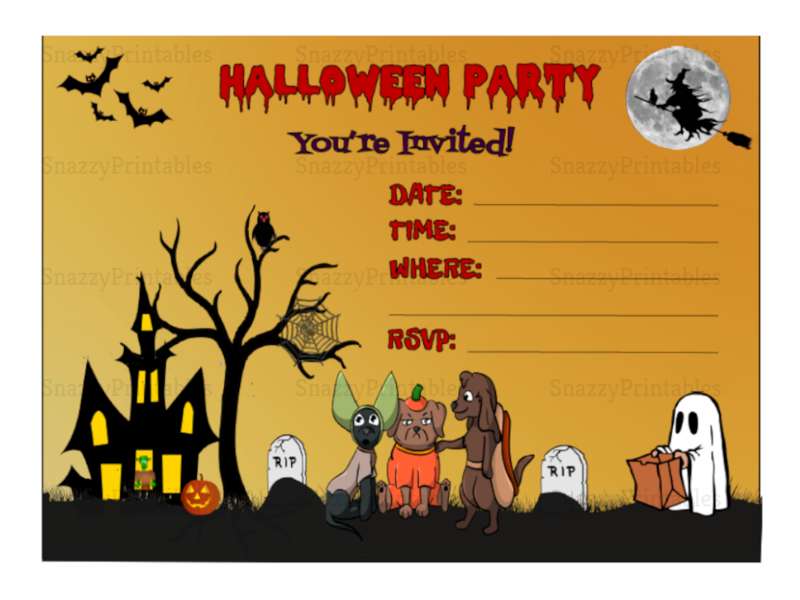 - You will receive an instant download of one high resolution (300 dpi) 8.5" x 11" PDF File for trimming easily to a 5" x 7" card (cardstock is recommended).